This co-sponsored booth is the first industry-wide event since Mark Andy Print Products was named the exclusive distributor of DuPont™ Cyrel® flexographic platemaking systems in the United States. Stand 749 will focus on ways to enhance your entire workflow, from pre-press, on-press, and postpress. Labelexpo attendees visiting Stand 749 will witness advanced platemaking and processing equipment, best-in-class plate mounting as well as have the opportunity to talk with technical experts and learn about the extensive Mark Andy Print Products supply offerings for flexo, digital hybrid, and offset printing equipment. Profitability begins with efficiency throughout your pressroom - pre-press, on-press, and post-press. Mark Andy Print Products understands efficiency and partners with industry leaders to offer customers top-of-the-line supplies. Technology showcased on-stand will include Mark Andy VPM400 Video Plate Mounter, DuPont™ Cyrel® FAST 2000 TD thermal processor, and Esko’s CDI Crystal 4835 XPS system. The VPM400 is a standalone unit with adjustable table, plate cylinder mounting rails and laser pointers. The plate mounter provides fast and accurate plate mounting to complement your workflow. Live on-demand demonstrations of the VPM400 will be available throughout the show and will support live label production on Stand 319. Mark Andy specialists will educate attendees on plate mounting best practices and the recipe for high quality print- pairing DuPont™ Cyrel® plates and tesa mounting tape during the demonstrations. Additionally, attendees will get to experience the benefits of DuPont™ Cyrel® FAST 2000 TD, a thermal solvent-free flexographic plate processor. The equipment is environmentally friendly with no solvents to handle, store or recycle and no drying time is required, enabling businesses to create high-quality Cyrel® FAST press-ready pates in less than an hour. The newest Esko CDI Crystal 4835 XPS created to combine flexo plate imaging and exposure will be on stand. Given there are five manual steps in the traditional platemaking process, this system streamlines the process to one simple step. The advanced solution boosts repeatable consistent plate quality and eliminates uncertainty at plate quality control. 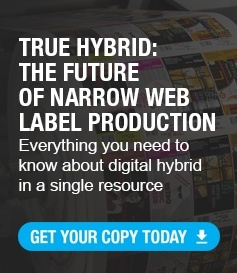 "At LabelExpo 2018, we are showcasing the comprehensive solution that DuPont offers to the label market. These offerings include DuPont™ Cyrel® EASY plates and DuPont™ Cyrel® FAST 2000 TD, which highlights an efficient workflow using the newest thermal processing technology. We will also be showcasing products from DuPont™ Tyvek®,” said Shyamal Desai, Americas Marketing Manager, DuPont Advanced Printing. All technologies on stand promote a seamless prepress process that increases flexographic efficiency, reduces waste, and gets the job on-press faster. Attendees have the opportunity to see the supplies and plates in action during live demonstrations of Mark Andy equipment on stand 319.